The Professional Yoga Therapy Certification is a post-graduate international program which certifies licensed health care professionals. Approximately six trainings are held annually on Emerald Isle, NC to provide the Professional Yoga Therapist Certification to licensed medical providers who want to practice integrative medicine by prescription of yoga as medicine. The program is a combination distance and on-site program, allowing health care professionals to complete the program at their own pace. 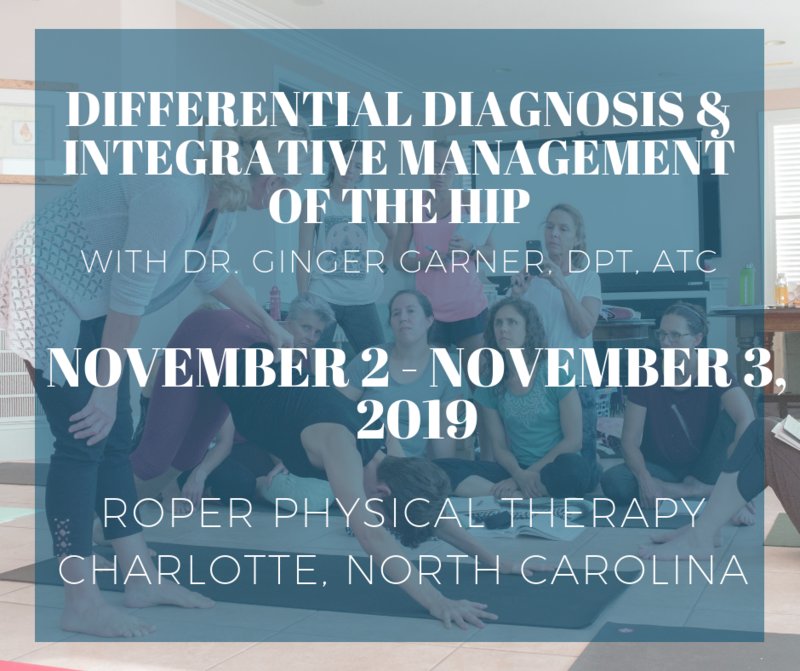 Licensed health care providers from across North America are invited to study with Ginger during this stress relieving and fun filled medical yoga intensive training. Learn how to use yoga as medicine within and outside the insurance system successfully. Learn how to expand programming into wellness and prevention in your community. Network with therapists and physicians across North America who are currently using the PYT method with success in every area of medicine from oncology to women’s health to sports medicine. Apply the evidence base in medicine and rehabilitation to yoga in order to emerge with a new paradigm for therapeutic evaluation and management. Learn about business models for launching integrative practices in yoga and rehabilitation. Learn about how to bring the PYT model to referring physicians and other health care professionals in your area, as you transform or establish your practice. Study side by side with your peers in case study analysis and in hands on lab settings to critically analyze and use yoga at a post-graduate medical level. PYT now offers a unique distance learning program combined with on-site training to complete your certificate as a medical yoga therapist. Email Jeff Jablonski, VP of Student Affairs at jeff@professionalyogatherapy.org with any questions on how to get started on transforming your career in medicine! I am interested in the yoga instructor training for health care workers. I am a PT. Please send me information on the program. It is good to “meet” you. You can learn more about the program at http://www.professionalyogatherapy.org. We have several partners in organization across the US, enabling you to take a large portion of the training via distance learning. You can contact our director of student affairs at jeff@professionalyogatherapy.org. He will be happy to answer any questions you have about the program. We also have lots of students and graduates who you can speak with about the program and CE. Hello, I am a physical therapist interested in therapeutic yoga. I was wondering if you could send me some information about your program. Thank you. I am just seeing your email. You can visit http://www.proyogatherapy.org to get information and contact our staff, who is ready to help you!